Mint Candy e liquid is a sweet minty candy thats divine to vape. Made from fresh mint and sweet candy. WHAT IS MINT CANDY E JUICE LIKE TO VAPE? Vaping this sweet mint flavoured e juice is a clean and crisp experience. The sweet candy and mint are blended at equal strengths, each flavour fighting for dominance in your mouth. You can feel the flavour refreshing and cleansing the palate on inhale and exhale. The aroma created from the exhaled vapour is a mint one. 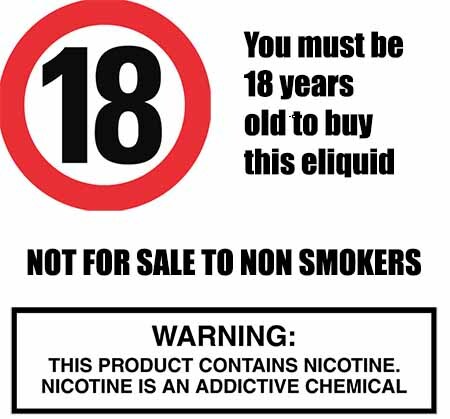 As a leading UK vape liquid manufacturer we make sure all our liquids DO NOT contain: - Diacetyl, Acetoin, or Acetyl Propionyl, refined sugars, protein, genetically modified ingredients, animal ingredients of any kind, preservatives, sweeteners, or colours. Is Vaping Mint Candy eJuice Vegan & Vegetarian Safe? You can feel safe when buying one of our premium mint e liquids that they are gluten free and suitable for vegetarians, and vegans. You can rest assured when purchasing this mint flavoured e liquid flavour that it contains only the purest ingredients.